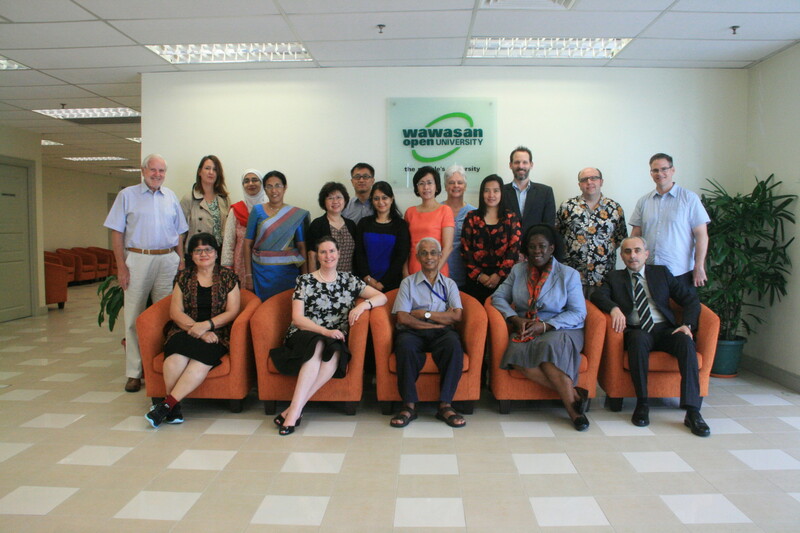 Members of the ROER4D network team – Cheryl Hodgkinson-Williams, Tess Cartmill, Sukaina Walji and Henry Trotter – recently went to Penang, Malaysia to attend the ROER4D-Impact Studies inception workshop hosted at Wawasan Open University (1-5 December 2014). The workshop was organised to allow potential grantees of the newly launched impact stream of the ROER4D programme to come together, learn more about ROER4D, present and refine their proposals and discuss critical issues such as research methodology, concept harmonisation and various ethical concerns. The 5-day workshop was facilitated by Dr Rob Farrow, a researcher at the Open University in the UK with the OER Research Hub (OERRH) which conducts global research into OER impact. This workshop was a long time in coming. According to Matthew Smith, a Senior Programme Officer at the Canadian International Development Research Centre (IDRC), the institution that funds ROER4D, when the ROER4D call went out a few years ago, it mainly attracted OER “adoption” study proposals (about OER use and creation), but the IDRC wanted some “impact” studies too. Thus, after ROER4D was up and running, the UK Department for International Development (DFID) stepped in to collaborate with the IDRC to facilitate funding specifically for impact studies in Africa and Asia. This call, which went out in mid July 2014, and was managed by Wawasan Open University under the umbrella of the ROER4D project. The call was open to researchers around the world, especially looking for projects that were multi-disciplinary, inter-institutional (within country and inter-country) and collaborative so as to add analytical power to the studies. 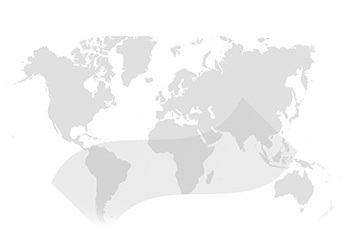 Research teams were also asked to include one or more researchers from the Global South. With studies eligible for up to 50,000 Canadian dollars of support, the 18-month-long research projects were open to cover formal education, informal or non-formal learning, at all levels – primary, secondary, tertiary, including lifelong learning – especially in the development sectors of poverty reduction, sustainable development, agriculture and health. The call sought proposals to study the impact of OER adoption, whether positive or negative, that has occurred following the use of OER, on aspects such as costs, teaching and learning practices, student performance, quality of materials and policy. Of the 109 project applications that were received as a result of the call, participants from eight of the proposed projects were invited to Penang to present their research proposals in greater detail and partake of a rigorous analysis and feedback process through this workshop. The attendees who were able to participate hailed from diverse contexts – Afghanistan, Australia, Kenya, Pakistan, South Africa, Sri Lanka, the Philippines, and the UK – and brought with them impressive resumes in the education field. During the workshop, the ROER4D team members each gave presentations on their respective spheres of activity and expertise: Cheryl on ROER4D and leadership issues, Tess on project management, Sukaina on communication and Henry on research capacity development. Although they were unable to attend in person, both Thomas King and Sarah Goodier contributed to the presentations on their specific areas of activity namely curation and evaluation respectively. All of the potential grantees also gave presentations on their proposals and Rob gave a number of presentations on the OER Research Hub’s strategies (e.g. “agile research”), on activity theory and on ethics and risk. The variety of presentations and discussion opportunities – through breakout groups, one-on-ones and informal dinner-time chats – made the week of engagement highly productive and generative. One of the reasons why the workshop was so intellectually intense was alluded to by Matthew Smith during his opening remarks. He said that “impact studies are difficult enough to conduct on their own, but impact studies on open things are really difficult”. It is challenging to make positive or negative inferences based on research studies because the problem may not be about openness per se, but the particular OER itself. Yet there has to be a link between openness and the impact of creating/using OER. This was a theme that the group returned to time and time again as participants sought to identify the best methods and evidence for investigating OER impact in their contexts. 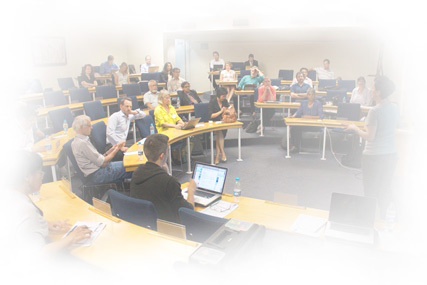 The Impact Studies will form a special focus within the broader ROER4D programme. It will be referred to as sub-project 10 (SP10) with 7 sub-projects (SP10.1 – SP10.7) within the 12-project ROER4D programme. Prof Gajaraj Dhanarajan of Wawasan Open University will oversee the Impact Study projects with support from Ms Maria Ng (Singapore),Ms Vivien Chiam (Singapore) and Ms Suan Choo Khoo (Malaysia). While the workshop took up most of the time and energy of the participants, everyone also enjoyed the beauty and buzz of Penang. The island provided intriguing architectural contrasts to appreciate (between old and new), tropical charm to soak up (with the Wawasan campus itself overlooking the narrows straits between the island and the mainland) and delicious food to relish. At the end of the workshop, the team treated themselves to some real fun by exploring the historical Georgetown, visiting the impressive Pinang Peranakan Mansion, the quaint stilt houses (or “clan jetties”) jutting out into the harbour and the delightful street art installations found in unexpected places across the city. But now the real work begins for everyone in the Impact Studies. The network team looks forward to supporting the researchers over the next 18 months and engaging with them again soon at the Open Education Consortium Global Conference in Banff, Alberta, Canada in April 2015.